Over 16 million Americans served our country in World War II. Today, less than 500,000 remain with us. Last week we were contacted by a woman whose father is one of the last men standing. 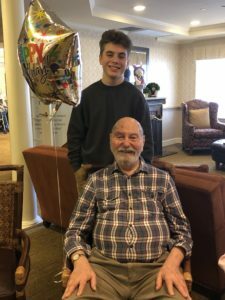 She asked if we could provide a pianist for her father’s 95th birthday, as he loves classical piano and show tunes. We happily obliged and sent over our best piano prodigy Michael Najor. It was the very least that we could do for Hal. Thank you Hal, for your service to our country, and happy birthday sir. The classes are designed for all ages and space is limited, so you must RSVP by emailing donny@axismusic.com. Any questions feel free to contact us! Curious about learning to DJ? This upcoming event is free to attend and we’ll have DJ stations set up throughout the academy. You’ll get a chance to spin yourself and also find out about our DJ 101 program. We were once again invited to perform at the Wild Winter event at the zoo. 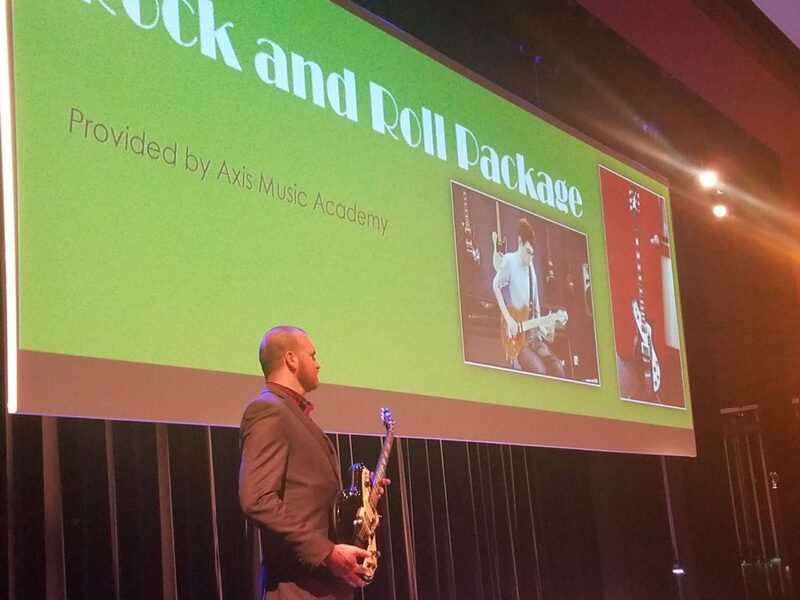 The lineup featured performances from Axis students of all skill levels. Check out our Facebook and Instagram pages for some videos of our talented kids. We’ll be featured at the zoo once again on April 27th for the Greenfest event. Click here for more details on that event. DJ Head is in the House! Today marks the first day of our DJ lessons featuring Grammy award-winner DJ Head. He has four students on his schedule and we have two more DJs ready to come in and teach once we get everything ramped up. This is super exciting for us as we continue to offer new services and evolve right alongside music. 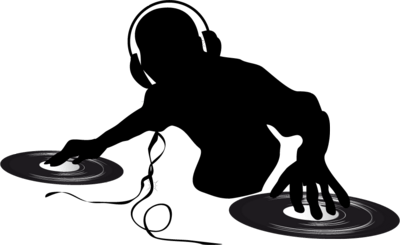 New for 2019: DJ Lessons! As music continues to evolve, we will continue to evolve with it. 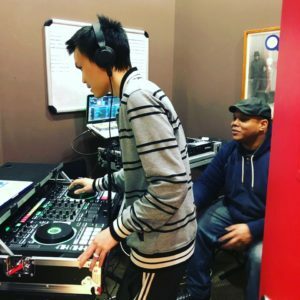 Beginning in 2019, Axis Music Academy will be bringing in professional DJs to teach live mixing. 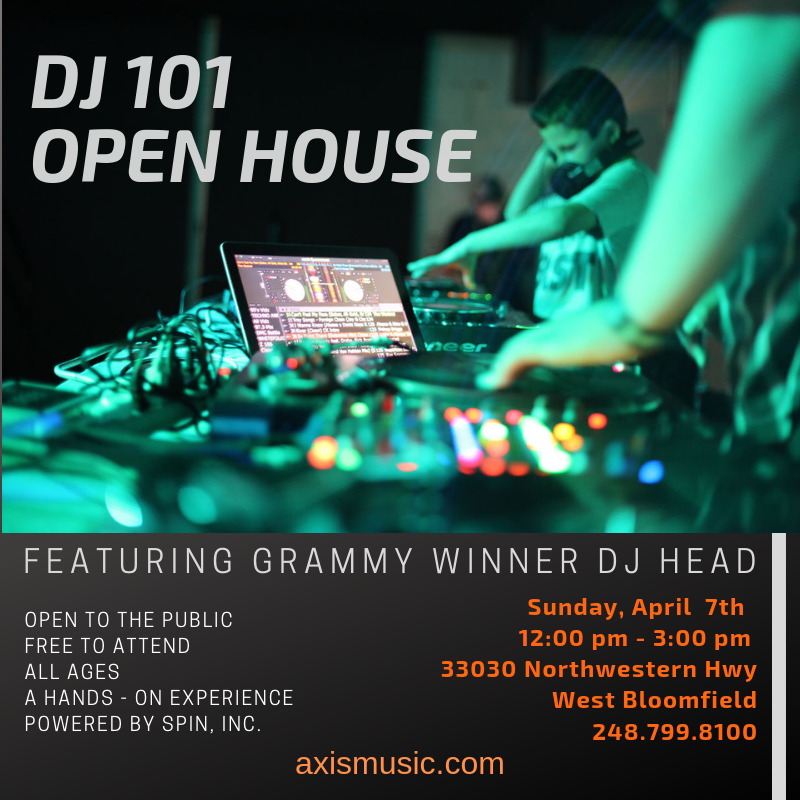 Our first offering is a ten week course with Grammy award-winner DJ Head (see below) at our West Bloomfield academy. 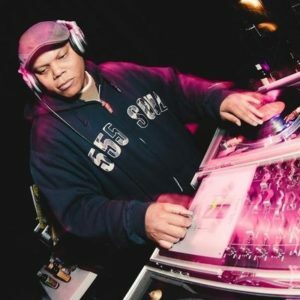 DJ 101 includes hands-on instruction from veteran Detroit musician DJ Head. The curriculum will cover the history of DJing (specifically Detroit’s contribution), equipment setup, BPM, song structure, blending, beat matching, harmonic mixing and more. By the end of the program, students will be able to mix a short set and have the foundation and capabilities to build on their newfound knowledge. Students will need to bring a laptop computer with a pre-loaded DAW (Digital Audio Workstation) preferably Ableton, Serato, Pro Tools or Logic and a controller. Feel free to contact us if you have questions or if you’d like more details and/or recommendations. DJ 101 will initially be offered on Tuesdays between 3:00 pm and 9:00 pm beginning on Jan. 8th at our West Bloomfield academy only. Each lesson will be 60 minutes. Students reserve their time on a first-come, first-serve basis with full payment required upon registration. Don’t wait or it may be too late! DJ 101 costs $600.00 for ten weeks of 60 minute private lessons with DJ Head. DJ Head aka Kevin Bell may be best known for his role as the rap battle DJ in the film 8 Mile, but his contributions to Detroit music go far, far beyond that. Kevin produced multiple tracks on the Eminem albums “Slim Shady LP”, “The Marshall Mathers LP”, “The Eminem Show”, and “Encore”. He has also produced tracks for hip hop superstars Jay-Z, Funkmaster Flex, Xzibit, and Obie Trice. 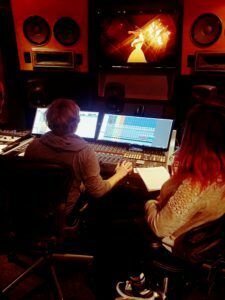 Kevin’s film resume includes work on the movie soundtrack for both Suicide Squad and Despicable Me 2. Kevin also works with various media outlets and musicians licensing music while being one of the most in-demand DJs for music venues and events throughout metro Detroit. Today we had the opportunity to service our community by playing for the senior citizens at Meer Senior Living Center. This is the third time that we’ve provided a concert for seniors in our community and it won’t be the last. A special thanks to all of our students who came out to perform and for their parents for helping make this happen. Thanks to generous community members we were able to raise almost $3,000.00 on Giving Tuesday for Axis Music Foundation! These funds will be put to great use as we look to expand our reach and also offer new services through the foundation. We have some big things in store for 2019! 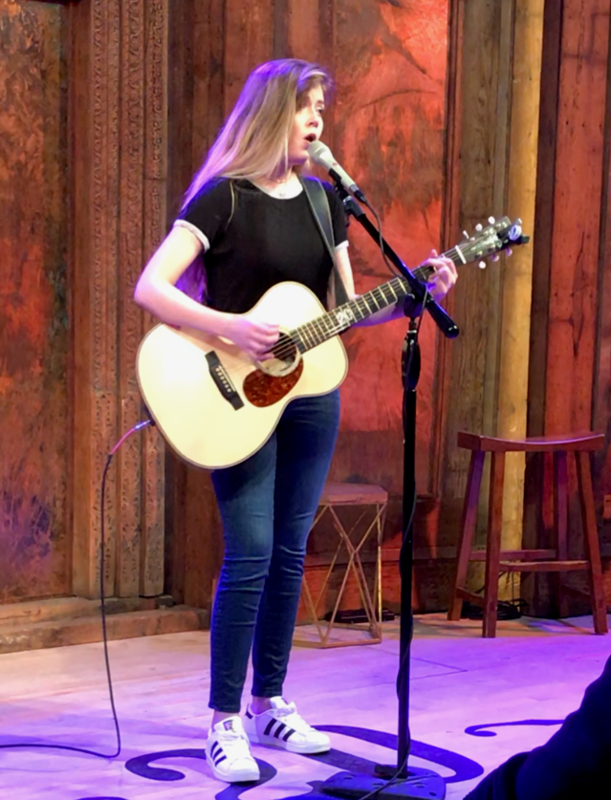 Last Saturday we held our third Student Showcase of 2018, this time at the gorgeous music venue 20 Front St. in Lake Orion. 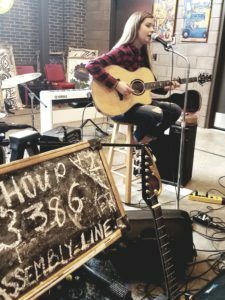 The lineup featured five solo acts (Nashir Henry, Isabella Nestor, Flora Grace, Chelsea Grey and Ali McManus) and also two duos (Joey Katz wsg Dad and The Crunch featuring Griffin Benton on guitar and vocals and Ben Cooper on drums). 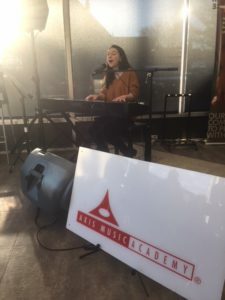 In all, they performed a 90-minute set to a near sold-out crowd and we managed to raise over $500 for our non-profit Axis Music Academy through ticket sales and one generous donation. For videos of the performances check out our Facebook and Instagram pages and for some more pictures click here. As music and music production continues to evolve, Axis Music is committed to evolving with it. Today we are introducing a program focused on modern music composition and production and we are offering the FIRST MONTH FREE OF CHARGE to the first five students that commit. This curriculum is applicable to all levels of composition students, but experience in playing music is required to enroll. 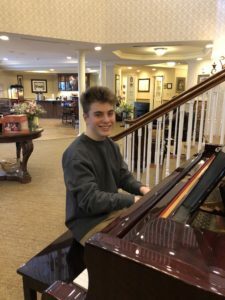 Modern Music Composition 101 will be taught by Phillip Sylvester, who is currently studying Music Education and Music Composition at Wayne State University. For Phillip’s senior thesis he has created this 10-week curriculum that will focus on developing each student’s ability to produce their own style of music using digital means. Important: Students will be required to bring either an Apple laptop with minimum of 4GBs ram, a Windows laptop with minimum of 8GBs ram, or an iPad or iPad Pro to each lesson. Each student will also be expected to complete a composition each week for homework and upload it to a private YouTube link. Call Birmingham at 248-258-9100 or email Donny at dklemmer@axismusic.com to enroll you or your child. The FIRST MONTH FREE offer is available on a first-come, first-serve basis to the first five students only for this 10-week course. Wow! What a weekend! 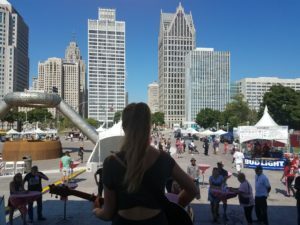 On Saturday we were invited to perform on the main music stage for the inaugural Great American Lobster Fest in Hart Plaza. 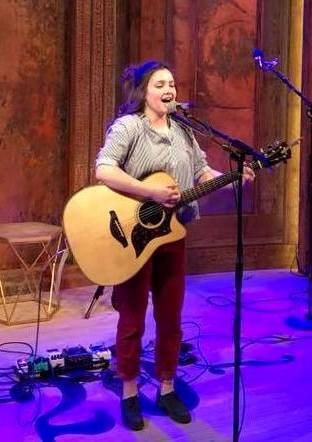 Our lineup consisted of Flora Lederman, Ali McManus, Alison Buckman (pictured above), and the band “The Crunch” featuring Griffin Benton on guitar/vocals, Cole Wohlfiel on bass, and Ben Cooper on drums. It was quite an experience to be on a main stage at a festival overlooking downtown Detroit. We even had a “green room (tent)” and each performer got free lobster! Thank you Green Curtain Events for this tremendous opportunity! For more pictures CLICK HERE or check out our Facebook and Instagram. If you’re worried that you’re “too old” to learn a musical instrument, don’t! 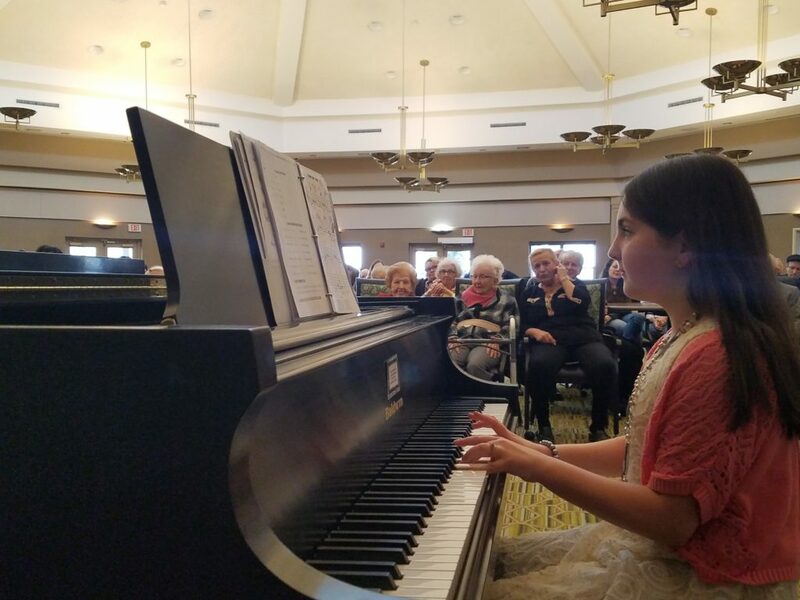 A 2013 study discovered that older adults ages 60 – 80, who took one 30-minute weekly piano lesson and practiced three hours a week for three months, improved both their processing speed and memories. While you might not develop into a musical virtuoso, you can derive great pleasure from playing music. Besides filling a room with glorious melodies, playing music brings a myriad of health benefits, too. Playing wind, reed, or brass instruments build up your diaphragm, which strengthens your lungs and respiratory system. Playing instruments positively channels your energy and focus and reduces stress. You’ll fine-tune your hearing by learning to identify and separate sounds. When your body becomes one with your instrument, your posture will improve naturally as your back aligns — and that may alleviate back and neck pain, too. Playing music improves cognition, mental performance and memory. Musical training integrates vision, hearing and touch and improves fine movements and coordination, too. Learning to read and make music enhances spatial reasoning, boosts verbal memory and helps improve literacy skills. Musical training even helps patients recover from traumatic brain injury. If you’re hoping to channel Stan Getz, John Coltrane, or Charlie Parker, you’ll need a sax. When you’re buying used, make sure it’s not dented, especially on the neck. Dents that are 5mm wide or smaller usually don’t cause a problem. Be wary of purchasing one that’s been refinished or relacquered—if the finish is stripped during the process, the sound will be negatively affected. Check for a bad odor or green discoloration—both indicate rot. Love Artie Shaw or Sidney Bechet? Consider buying a plastic clarinet, which is durable, more affordable and perfect for novices. Wood clarinets produce a warmer tone, but require careful storage and care. When purchasing used, check for cracks and dents. Small dents won’t affect the sound, but if the posts section has a dent, the rods might bind and the pads detach. Wear and tear is normal for a used instrument; you may need to replace the key corks, felt and pads. Who doesn’t love Louis Armstrong, Miles Davis or Dizzy Gillespie (those cheeks!)? You can refer to this guide to find an ideal trumpet. Although they come in many different variations—pocket and piccolo, cornet, flugelhorn, trumpet in C—start with a Bb (B flat) horn. It’s the trumpet given to all beginners. Throughout history, music has connected people. 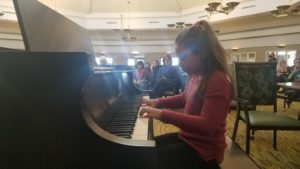 Playing and listening to music strengthens social bonds, boosts oxytocin, increases empathy and grows cultural connectedness. Music doesn’t have to be a solitary endeavor. Playing with others offers an opportunity to socialize. If you’ve played an instrument before and just need to practice the rust away, check with your community to see if there’s a local band or orchestra you can join. 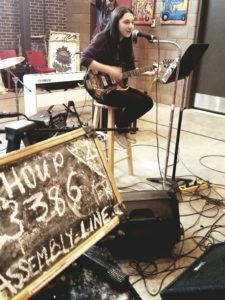 Sign up for an open mic at the arthouse. Or, invite a few friends over for a jam session in the backyard. We were invited once again to provide the pre-show entertainment for downtown Ferndale’s Get Reel Outdoor Movie Series. 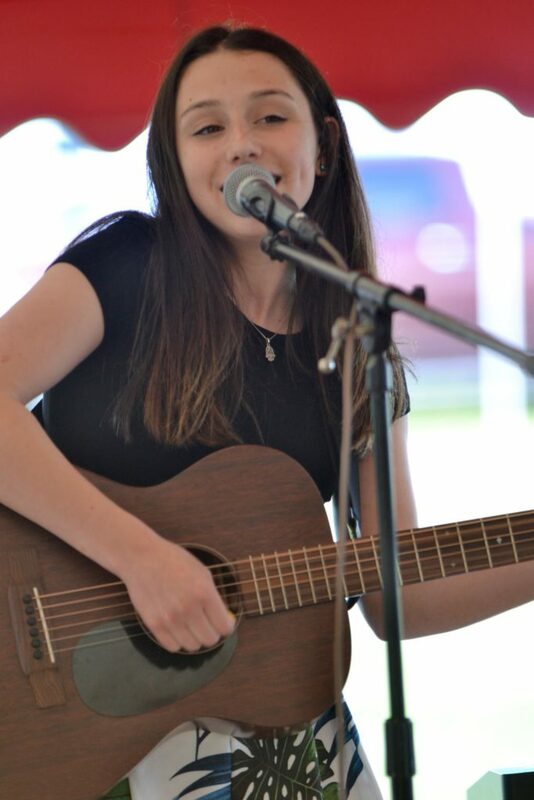 Last night’s feature was Napoleon Dynamite and Katie McLean (pictured) spent some time learning the film’s opening track “We’re Going To Be Friends” by the White Stripes. She performed a mix of cover songs and originals and ended her set with the White Stripes. It was a great night and a great event put on by the good people of the Ferndale Downtown Development Authority. 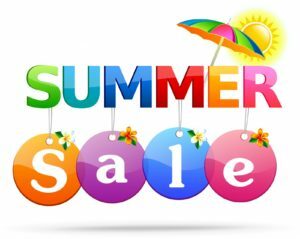 Our Summer Lesson Plan Sale takes place this week! Our best deal of the season will allow you to get two free lessons for every eight lessons that you purchase (save up to $140!). Simply call your academy to find out how to take advantage of this promotion that will end at 9 pm on Thursday, July 19th. 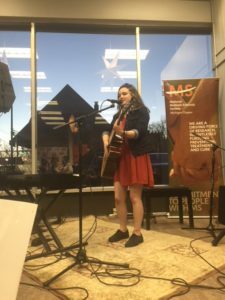 Axis Music was thrilled to provide the musical entertainment for the 2nd Annual Auction to End MS held in downtown Farmington. Our lineup included (pictured above from left to right): Sami Mei, Megan Rosender, Katie McLean, and also (not pictured) Ali McManus, Flora Grace, Korinne Perry, and Sasha Shor. The event consisted of food, drinks, great music, and a large silent auction that raised nearly $12,000 for the cause. Do you have an upcoming fundraiser or event? We’d love to showcase some of our most talented students. Contact Donny at dklemmer@axismusic.com to get the ball rolling. 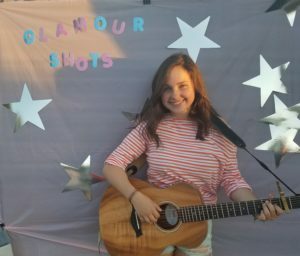 We caught up with one of our super talented young students Leah Perov and sat down for an interview and a performance. Jennifer Wilson of Channel 7 WXYZ recently stopped by our West Bloomfield academy to highlight some of the cool things that we’re up to. Check out the story above! 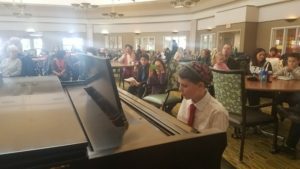 We will have THREE STUDENTS featured on the new PBS talent show Celebration of Music hosted by Ethan Bortnick! The show will air this Friday at 8:00 pm and will feature Alison Buckman, Sami Mei, and Katie McLean. During this time you will have the opportunity to VOTE for your favorite artist and also buy tickets to Ethan Bortnick’s concert on Saturday, May 5, where the winner of this show will be announced. Tune in on Friday for tons of talent and be prepared to vote! Did you know about our non-profit entity Axis Music Foundation? 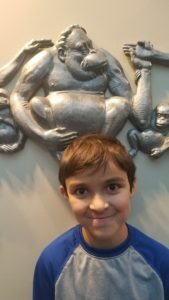 If not, here’s a nice write up by our friends at Metro Parent about some of the kids that are currently benefiting from our community of donors. We are always accepting donations and also nominations for new students who see the value in music education. What a night! Last night we spent the night with a sold out audience at Otus Supply in Ferndale for Ali McManus’ album release party. 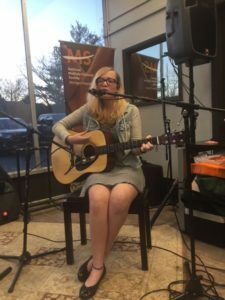 Ali was backed by a full band as she performed all of her songs from the album “Unbreakable” along with some cover songs. 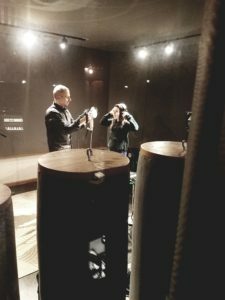 Click here to check out Ali’s first music video for the title track and visit her website at alimcmanus.com to purchase “Unbreakable”. 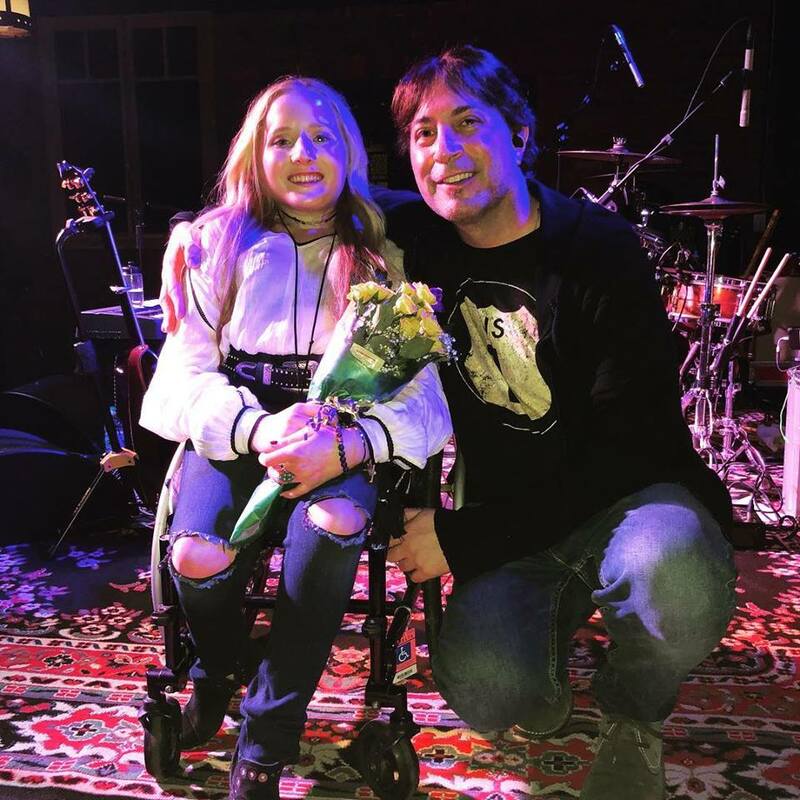 Pictured above is Ali with her original guitar instructor and Axis Music Academy founder, John Antone. There is no charge for the school to have us come in and speak about the benefits of music education. 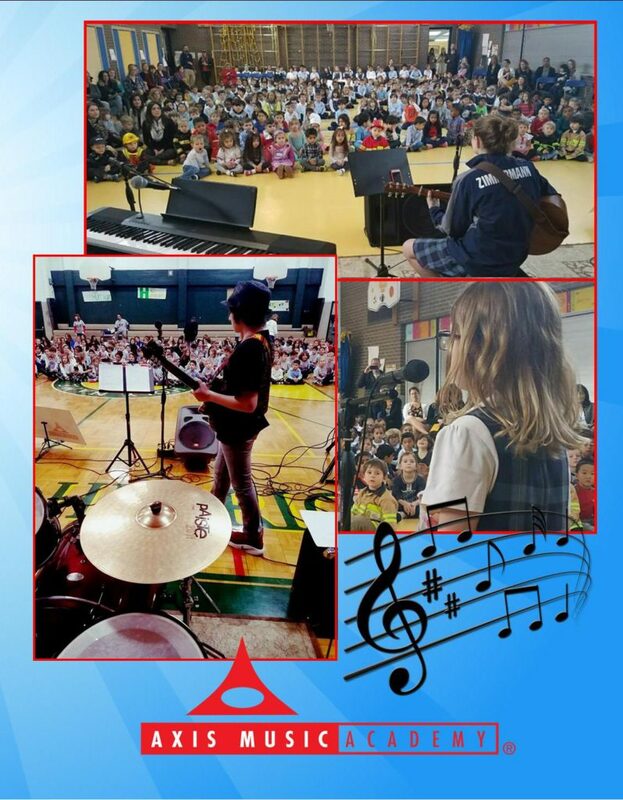 We’ll bring some of our talented students and instructors to perform for the school and encourage audience interaction throughout the assembly. We have references available from recent assemblies at Detroit Country Day and Sacred Heart Academy. Have your school contact Donny Klemmer Jr. at dklemmer@axismusic.com or 248-258-9100 for more details or to get the ball rolling. Our first winner of the Wantify music lessons giveaway is Gouri P.! Gouri has two children taking lessons with us so both will receive one free 1/2 hr. lesson courtesy of our friends over at Wantify. Would you like to win two free lessons? Simply download the Wantify app and “favorite” Axis Music Academy for your chance to win. We’ll be selecting one winner every month. Yesterday we visited our friends at Meer Apartments Senior Living Center and performed an afternoon concert for them. It was great to see our kids entertaining our seniors and giving back to the community. 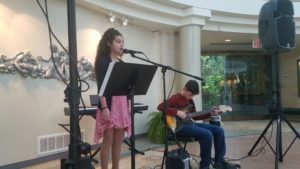 The lineup of performers included Sienna Turnbull, Caleb and Ayal Starr, Mariana Bleck, Advay Das, and Lily and Emma Novetsky. Would you like us to come and perform for you or your group? Email Donny at dklemmer@axismusic.com to discuss us performing live for you. We’ve partnered with Wantify, a locally-owned app to provide you with VIP deals. This app will alert you when we’re running a flash deal so that you can save money on your music lessons. As part of our partnership, Wantify has agreed to purchase and giveaway TWO FREE MUSIC LESSONS EVERY MONTH! We’ll draw one winner from our subscriber list each month. That winner will get two free 30 minute music lessons courtesy of Wantify. 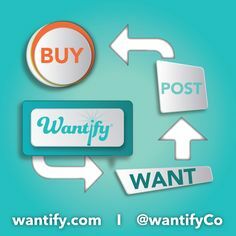 Feel free to explore Wantify and favorite other local businesses as well for more special promotions. We’re performing at one of the most beautiful live music venues in SE Michigan next week. 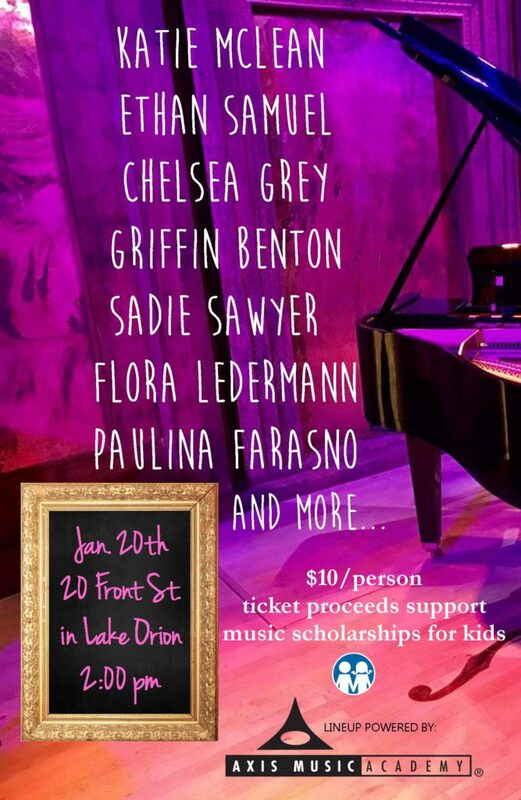 It’s a Student Showcase at 20 Front St. in Lake Orion and a portion of the proceeds will benefit Axis Music Foundation. We’ve got a fantastic lineup set for a venue that is perfectly suited for pictures and video. Come on out, bring a car full of friends or family, and experience our most talented students in an gorgeous, intimate setting. Everyone, meet Ryan. Ryan had been teaching himself to play on a thrift store guitar that was missing a string. Today we gifted Ryan a new guitar from Luna Guitars AND we’re gonna teach him how to play it! All of this thanks to some generous donors who contributed to Axis Music Foundation. Happy holidays everyone! 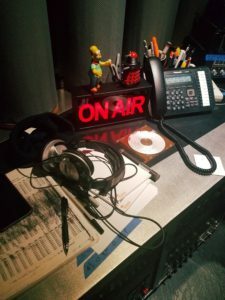 I am a casting producer on a new, local PBS TV show, The Celebration of Music, being filmed in Detroit. I found your information online and wanted to see if you have any students that would be interested in auditioning. We are looking for all musical acts (bands, solo’s, duets, choirs, instrumental, a cappella and even dancers) age 4-24 years old are welcome to audition. While we cannot guarantee that you/your client will be picked for the TV taping, we truly believe that they should apply/fill out the form for the creative producers to consider. The show will be filmed in January and aired on prime time TV. The show will star PBS national artist Ethan Bortnick, who will be advising and judging talent to see who will win. The winner will be announced in March and will get to perform live with Ethan in concert and record a single. Auditions will close end of December. Below are some links and we wish you good luck! It’s an ONLINE audition here is the link: https://celebrationofmusic.com/audition (please put Catherine when it asks producer name). Make sure you share a URL of a video clip of you performing. You can share as many links as you like, the more the better. If you are under 18 years of age obtain your parents permission. More information at celebrationofmusic.com. More info about Ethan at ethanbortnick.com/bio. 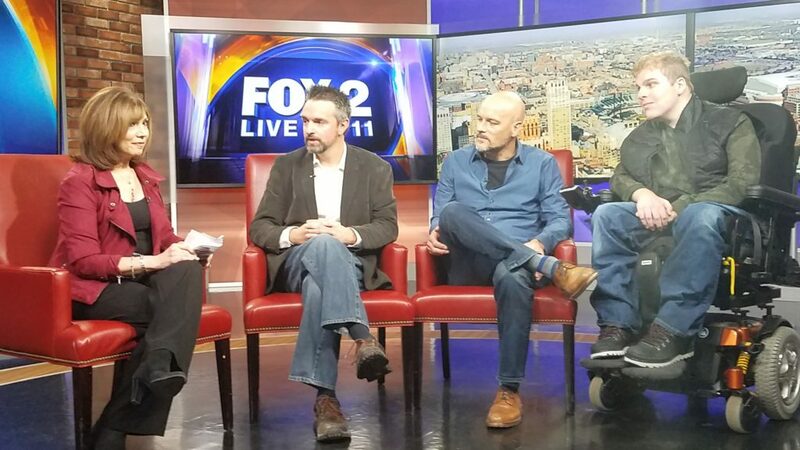 Yesterday we had the privilege of being interviewed by Sherry Margolis on Fox 2 on live TV. Sherry had heard about our efforts to raise money in order to fund new music scholarships and she loved the cause. We sat down with her for four minutes to promote the foundation. Click here to watch the interview. We received some very generous donation on #GivingTuesday and now we’re ready to select individuals to sponsor into our foundation. For instructions on how to nominate someone that you may know click here. Axis Music Foundation has joined #GivingTuesday, a global day of giving that harnesses the collective power of individuals, communities and organizations to encourage philanthropy and celebrate generosity. Occurring this year on November 28th, #GivingTuesday is held annually on the Tuesday after Thanksgiving to kick off the holiday giving season. 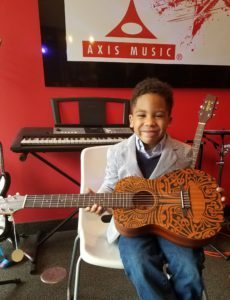 Axis Music Foundation 501(c) 3 is a non-profit entity that started in the spring of 2012 to deliver instruments and music education to families, schools and organizations that have been suffering from the extensive cutbacks that music and the arts have endured over the years. 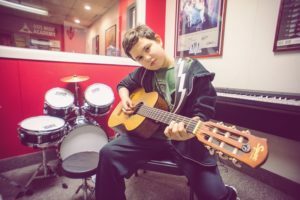 The foundation has recently enabled a child (Alex Maes) with muscular dystrophy to play in a band with his father. The goal of this holiday season is to raise $5,000.00 for Axis Music Foundation. This money will be used to purchase instruments and provide lessons for chosen children. For anyone interested in contributing in any way OR if you’d like to nominate a child to receive a scholarship, please call Donny Klemmer Jr. at 248-799-8100 or email him at dklemmer@axismusic.com. CLICK HERE to donate to the foundation now. 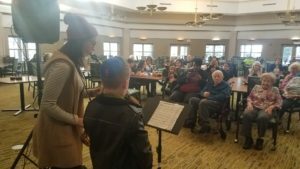 On Saturday we had the privilege of performing for the residents of American House senior living center in West Bloomfield. Our super splendid host Dahlia greeted us at the door, gave us a quick tour, and made sure that we were all comfortable in the great room for our performance. 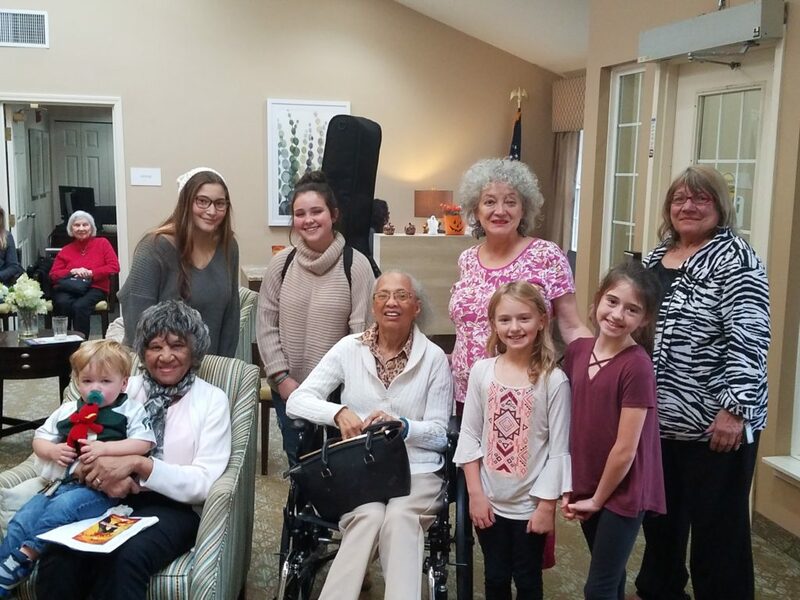 The residents were thrilled to have children among them and even more excited to have “talented children visiting us”. We had Mea & Eva D’Agostino, Flora Ledermann, and Katie McLean all perform to a very warm and appreciative audience. All in all it was a perfect Saturday afternoon spent with a very gracious host and some beautiful souls. We’ve recently uploaded a couple of new videos to our YouTube channel. The two videos are the first in our single-take music video series in which we’ll be filming Axis students performing in fitting locations. 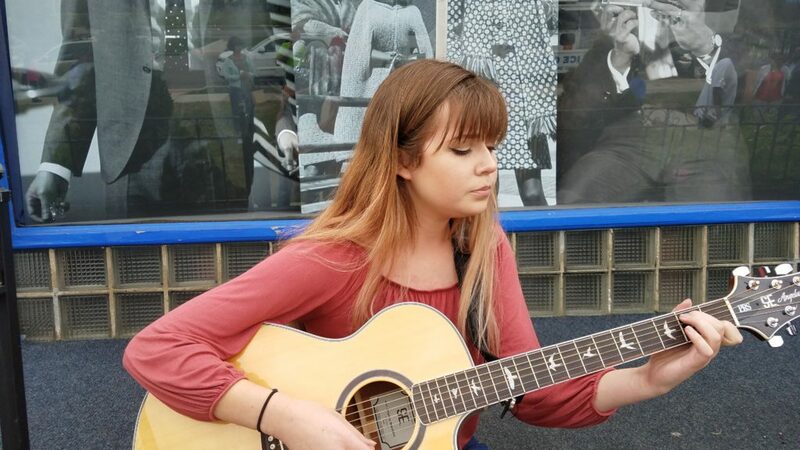 The first is of Alison Buckman (pictured below) covering Michael Jackson’s “Man In The Mirror” in front of the Motown Museum. The second is Sami Mei performing her original song “GPS” while aboard the new QLine in Detroit. Please visit our channel and subscribe as we’ll be posting more content in the coming months. Last night we got to be a part of a super funny fundraiser titled “Comedy for a Cause” in which the proceeds went towards the families of fallen police officers. What a blast! 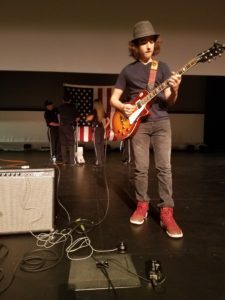 Our student Ethan Samuel opened the festivities by playing the national anthem on electric guitar and our donated guitar and lesson package (see below) ended up selling for $700 at the live auction! Both comedians were absolutely hilarious and tens of thousands of dollars were raised for a great cause. We’ll see ya next year, you awesome little event you! 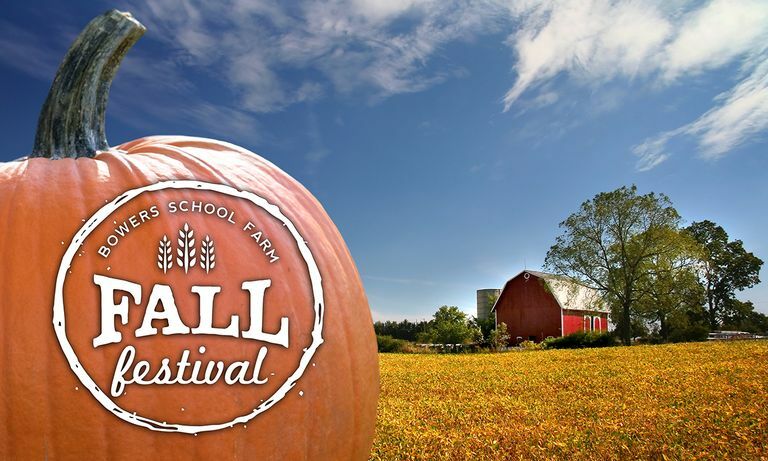 We just visited Bowers School Farm, a really fascinating alternative high school located in Bloomfield Hills, to do a site inspection for their inaugural fall festival that we’ll be playing. What a cool spot! The farm is over 90 acres of real farm-life with educational facilities to teach kids how to both raise animals and also farm. The property is a fully functioning farm and features all of your typical livestock, horses, donkeys, and even a llama! They also have a log cabin that’s been transplanted from another city in which they do historical re-enactments for the kids. Anyway, their first fall festival is right around the corner and for a $10 entry fee all guests will be able to tour the farm, play on inflatable games, take wagon rides, learn archery, challenge local basketball players, and enjoy stage performances by local musicians (including us!) and dance troupes. For details on the event click here. We’ll be showcasing our students on Sunday, Oct. 15th from 12:00 noon – 2:00 pm. This is your invite to come and join us! 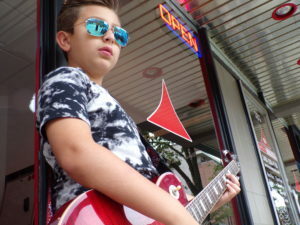 Win this guitar! 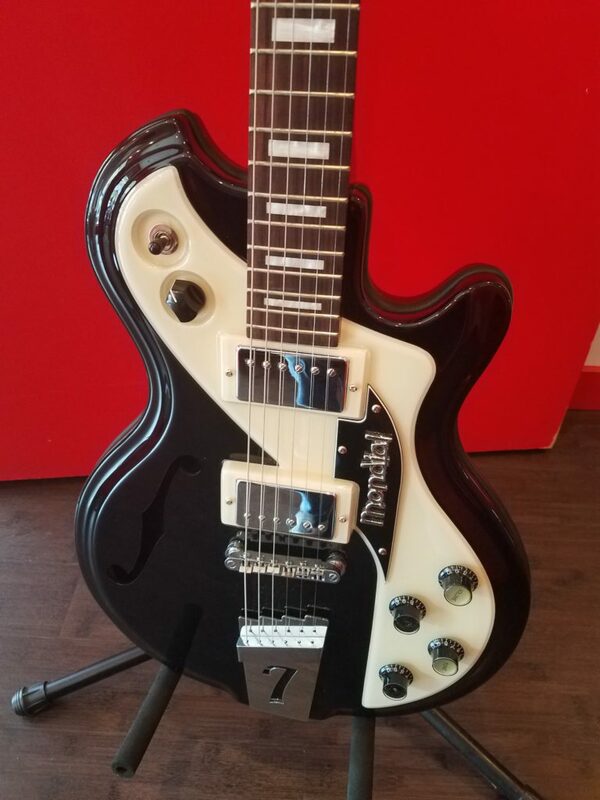 As a proud sponsor of the upcoming Comedy for a Cause charity event benefiting the West Bloomfield Police Foundation, we are donating this brand new Italia Mondial Classic (retail value $749) as well as eight 30-minute private guitar lessons to the silent auction. All proceeds from this hilarious annual event will go towards families of fallen officers. Click on the link in this paragraph for tickets to this super funny fundraiser. 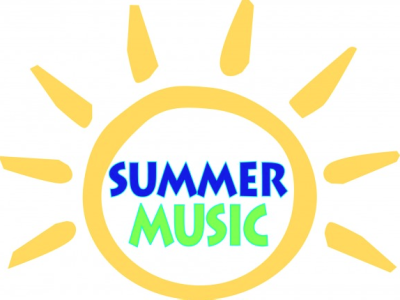 Axis Music Academy is a proud sponsor of the Summer Concert Series in downtown Birmingham. All summer long the city of Birmingham in conjunction with the Birmingham Bloomfield Community Coalition will be featuring free concerts at Shain Park. 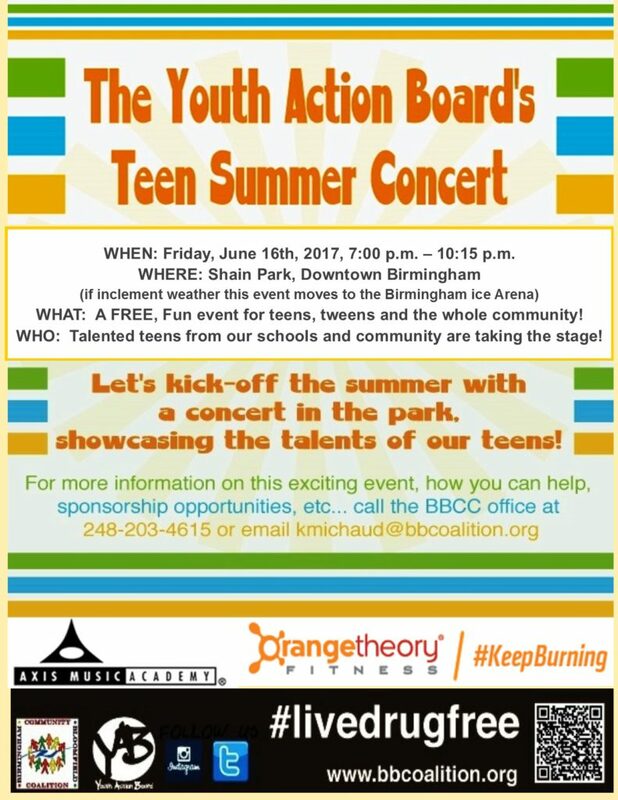 On Friday, June 16th, Axis students will be featured in the kick-off event that features the most talented teen musicians from the area. Slated to represent Axis are Katie (Schrepferman) McLean, Chelsea Grey, and Ali McManus. This event is free to attend and open to the public so come join us! Axis is a proud sponsor of the upcoming event “Comedy for a Cause” featuring local comedian Dwayne Gill and also Mojo from “Mojo in the Morning”. 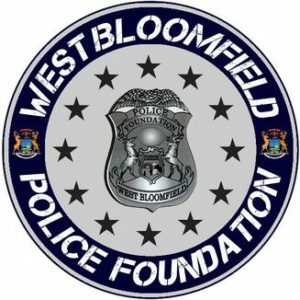 Proceeds from this fundraising special event will go to the West Bloomfield Police Foundation, whose stated mission is to help families of fallen officers. Tickets for this event are $30 and additional funds will be raised via live auction. For more information on how you can attend or contribute click on the link above. Axis Music has been invited to take place in a worldwide event that celebrates music simultaneously in over 700 cities and 130 different countries. The event takes place each year on June 21st, the longest day of the year. 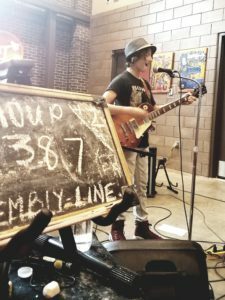 This will be the second year that Detroit has played a part in the annual Make Music Day and organizers are planning performances in over a dozen different venues. 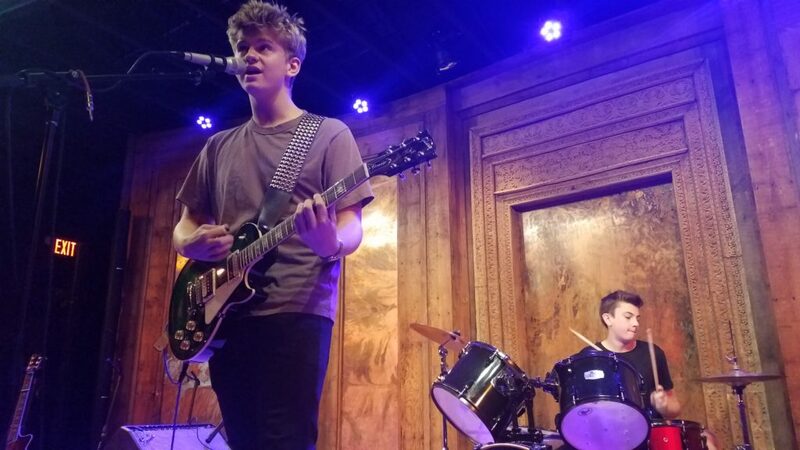 Axis will be showcasing students on the main stage at DIME Detroit from 2:00 pm – 5:00 pm as part of a lineup featuring the best high school musicians in all of metro Detroit. At night, we’ll be taking our talents to the beautiful Jazz Cafe at Music Hall to perform in one of the most gorgeous and intimate settings in Detroit. The entire day is a celebration of music and we’re thrilled to be a part of it. There is no admission to any venue so feel free to come check out both the present and also the future of Detroit music on Make Music Day. Congratulations to Axis student Chelsea Grey! 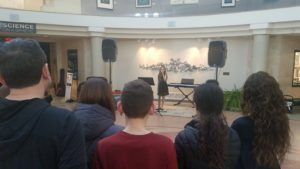 Chelsea is the winner of the 2017 Michigan PTA Reflections “Music Composition Outstanding Interpretation Award” for her original song “Your Story”. 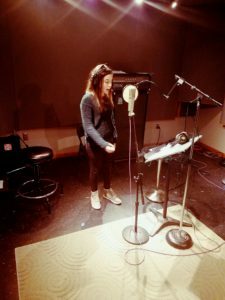 Axis instructor Harold Crisman was generous enough to turn her song into a music video featuring Chelsea and other current Axis students. If there are any marketing agencies interested in licensing this song for a commercial (it’s perfect for a car ad! ), please contact us. 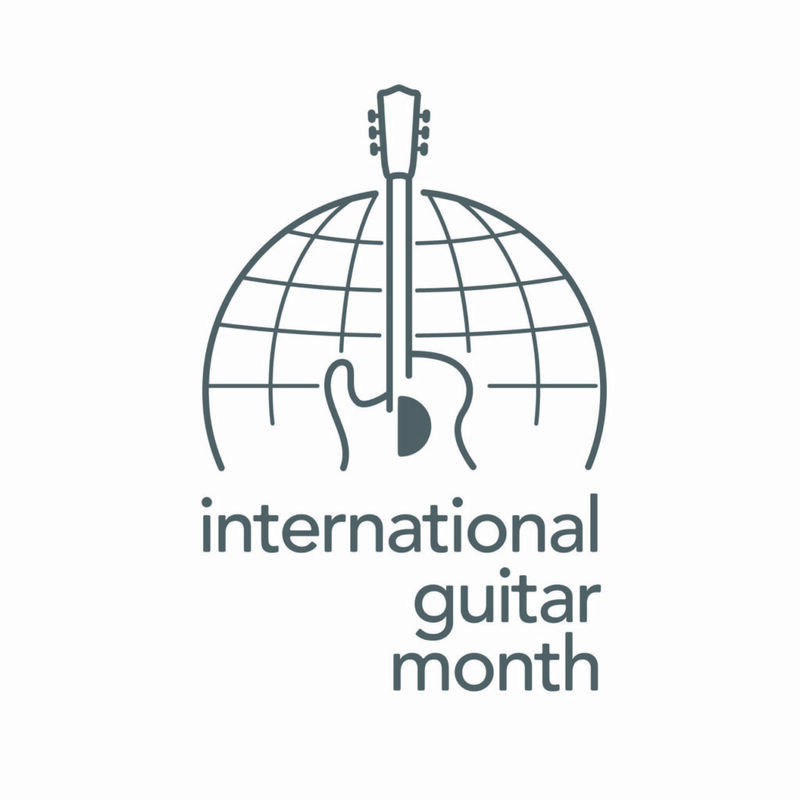 Did you know that April is International Guitar Month (IGM)? IGM was created in 1987 as an annual celebration of guitars and guitar products. Each April, retailers offer special promotions and packages benefiting guitar purchasers around the globe. While we don’t sell guitars, just give lessons on them, we do want to celebrate. So for International Guitar Month we’re getting ready to unveil a bunch of special events based around Jimi’s favorite instrument. Stay tuned to our site and our social media for the complete lineup to be announced soon. 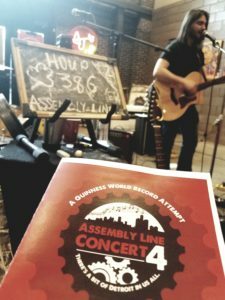 This past weekend our students were part of hour numbers 386 & 387 in a Guinness World Record attempt for the longest continuous concert in music history. After 16 consecutive days and nights of musicians performing at Eastern Market, it is now time to send the video to Guinness in order to be audited and approved. Special thanks to Assembly Line Concert organizer Scott Murphy for putting this on and giving our student’s a chance to be a part of history. Check out our Instagram page (@axismusicacademy) for snippets of our performances. Pictured below from left to right, Nick Antonelli, Alison Buckman, Sami Mei, and Ethan Samuel. 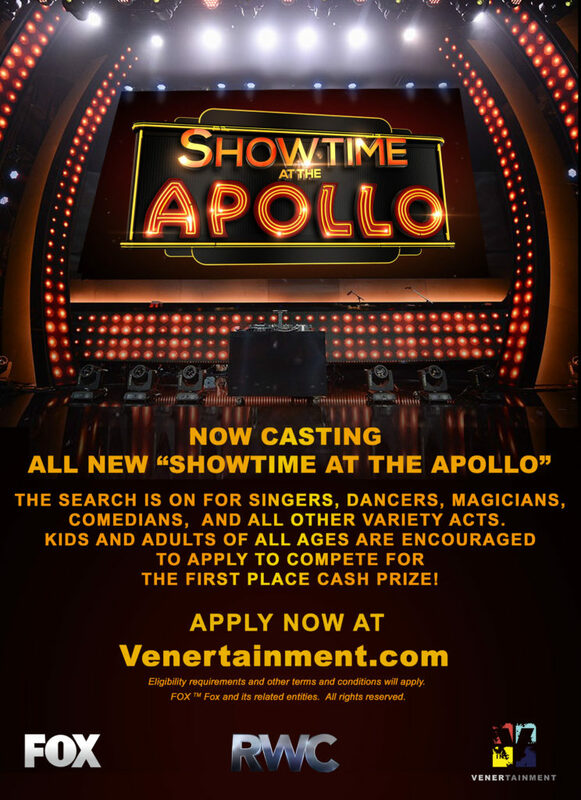 Our friends at Fox TV and Venertainment contacted us looking for talented young musicians to apply for a spot on Showtime At The Apollo. Apply on the link here and let’s show the world what you got! 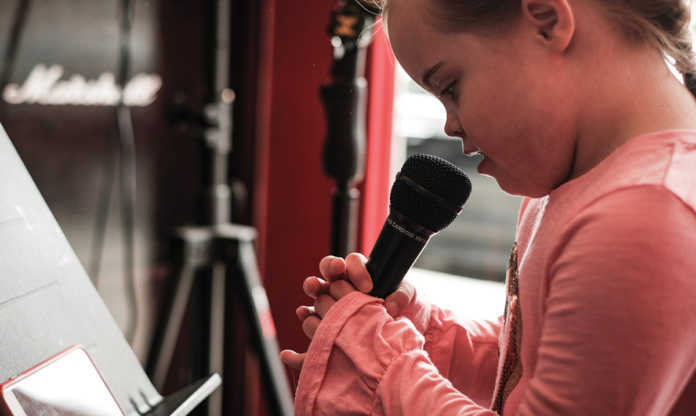 After finding Seven Mile Music on Instagram, we reached out to them to find out how we can contribute to their amazing mission. Seven Mile responded that they are always in need of more instruments for the program. So beginning this week, we are launching an instrument drive for the kids of the Seven Mile Music program. 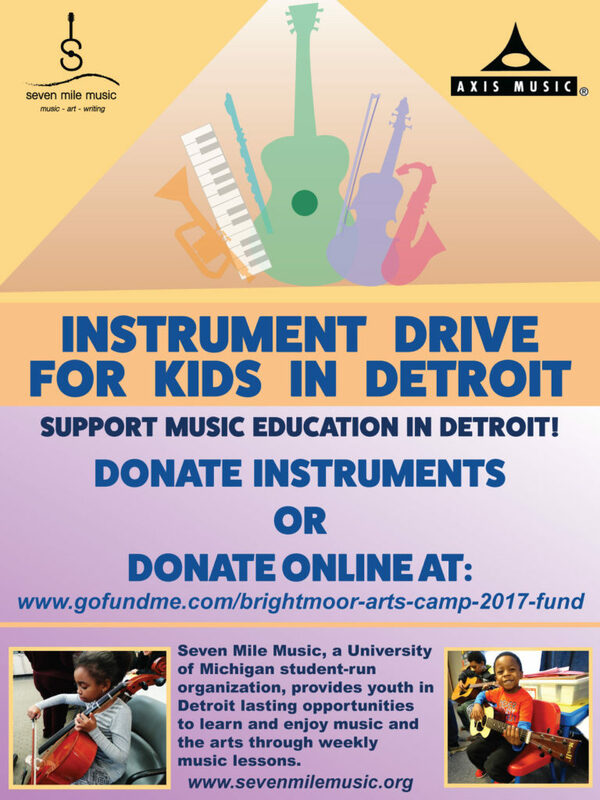 Simply drop off any used (or new) instrument to either academy, or call us to schedule a pick up, and we’ll get it tuned up (if needed) and into the hands of a child in Detroit. The more instruments that we can gather, the more kids that we can contribute to! Our summer camp dates have been announced! Click here to see them. Register now to reserve your space as these camps have student limits and they typically sell out. Yesterday we paid a visit to Downtown Boxing Gym in Detroit after hearing about a virtual drum off between one of our students and one of their kids. Click here to view the video that made some waves on social media. What a cool place! The motto of the program is “books before boxing” as they have kids work with tutors to complete their school work before the boxing begins. The boxing angle is used to get kids interested, but the goal is to get kids off of the street, have them graduate high school and go to college. So far their graduation rate is 100% and over 90% of the kids have gone on to college. There are currently 147 kids sponsored into the program via corporate and private donors with a waiting list of over 700 kids. It’s quite a remarkable space with great energy. For more on the good that they’re up to click here. So now we’re brainstorming on how we can partner with them to provide music lessons for the kids. Any ideas? Wanna help? Email Donny at dklemmer@axismusic.com if you’d like to be involved. Survey says! Check out some statistics we’ve compiled about the benefits of learning music by clicking here. Axis has teamed up with an exciting promotional app fresh out of beta testing. 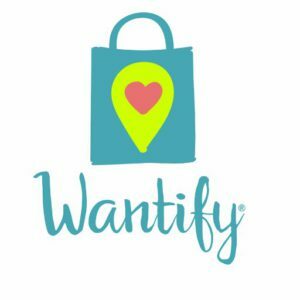 Wantify is a Birmingham based business that has developed a way to stream promotions from your favorite retail shops directly to your phone. This non-intrusive app is testing through the roof and Axis is very excited to be on the ground floor of what could eventually be on the tip of everyone’s tongue and fingers. We’ll be pushing out some great promotions and lesson deals just for Wantify users so join now at wantify.com or text “AXIS” to 248-243-4045. 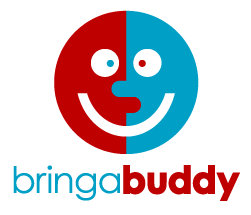 This week is Bring-A-Buddy Week at Axis! Bring a friend for a tour of the academy, a chance to bang on some drums, and a free lesson pass for them. We’ll reward you with some Axis Bucks for you to save and eventually redeem for some cool prizes. Give the gift of music! Call your academy for special lesson plans deals for both new and existing students. Buying a guitar for someone? Throw in a few months of lessons to complete the gift. As always, gift certificates for private lessons are available for purchase.